Take the park shuttle to the end of the line and then hike the River Walk to the point where the paved trail ends. From there you make your way in the river as far up the canyon as you like. This was taken while hiking the Narrows. 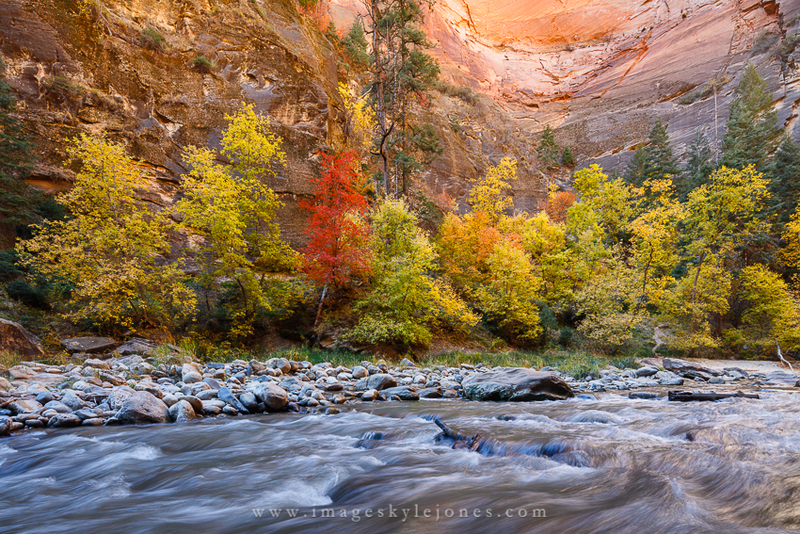 Once I saw these trees against the sandstone wall, I knew I wanted to photograph them. I found a spot on the other side of the river so I could get the rushing water in the foreground.